Septic systems are an integral part of homes and commercial buildings that are not connected to a municipal sewer system. 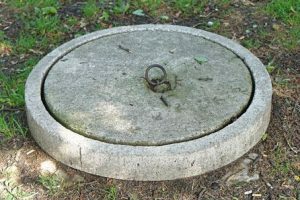 Properly designed and installed septic systems may work so reliably that they are easy to forget about, but routine maintenance is important to keep these systems working efficiently and to avoid unpleasant and expensive problems. These tips will help you maintain a healthy septic system. The first step is to be aware of the design and limitations of the septic system. The system was designed for a particular amount of use. Converting a single-family home into a multi-family home, for example, may overload the septic system. Always be mindful of what you flush or drain into a septic system. Many products that are commonly used in kitchens and bathrooms have the potential to cause a septic system to not work properly or to even fail completely. In the bathroom, avoid flushing toilet paper that is not septic system friendly, or any other sanitary or paper products. Toilet paper that does not degrade easily or any other material that is flushed in a toilet may result in blockages in the septic system. In the kitchen and any other sinks, avoid dumping oils or grease into the drains. These products are known to interfere with percolation in the septic system. Antibacterial products should also be used with care as they may interfere with necessary bacteria in the septic system. Additives may be used to improve the health of septic systems if antibacterial soaps or cleaners are used in the home. Septic system care also extends outside of the building as well. Avoid driving vehicles over the septic system as this can result in pipes being cracked or broken. It is also important to avoid planting trees near a septic system or pipes as tree roots may infiltrate the system and result in blockages. There are several warning signs that a septic system may be in poor condition and need to be serviced. These signs include slow draining in sinks, showers, or toilets, gurgling sounds in the drains closest to the septic tank, and affluent saturating the ground near the septic system. Carolina Septic Pro provides a full range of septic services, including pumping, cleaning, and inspections. Regular cleaning and maintenance by a qualified septic professional can help to prevent expensive and unpleasant septic problems in the future. Contact us at 704-626-6622 to arrange an inspection or maintenance service on your septic system today.